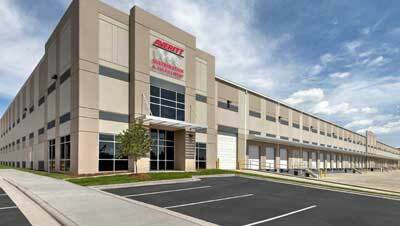 For nearly 50 years, Averitt Express has built a reputation as a leader in the retail distribution space. We service a wide variety of clients that range from startup ecommerce businesses to fortune 500 big box stores. Backed by more than 4,500 drivers a partner carriers throughout North America, we can move your freight with ease. Our distribution network features more than 80 distribution centers across the United States. From these facilities we can provide inventory storage, order fulfillment, freight consolidation and much more. The Averitt team will work closely with you to help determine the best supply chain strategy to move your inventory. We can provide LTL and truckload delivery, dedicated route distribution, and final mile and white glove services. Technology and data are a must in today's marketplace. That's why Averitt is focused on ensuring you have greater control over your inventory and transportation. We can provide warehouse management system (WMS) and transportation management system (TMS) technologies and even integrate your existing systems into our operations. From first origin to final destination, Averitt can manage and execute every link in your retail supply chain. We offer a variety of services, including ocean and air forwarding, flexible warehousing space and order fulfillment services. If you would like to learn more about our services and pricing, fill out the form or contact Rogers Luna at (931) 520-5109.